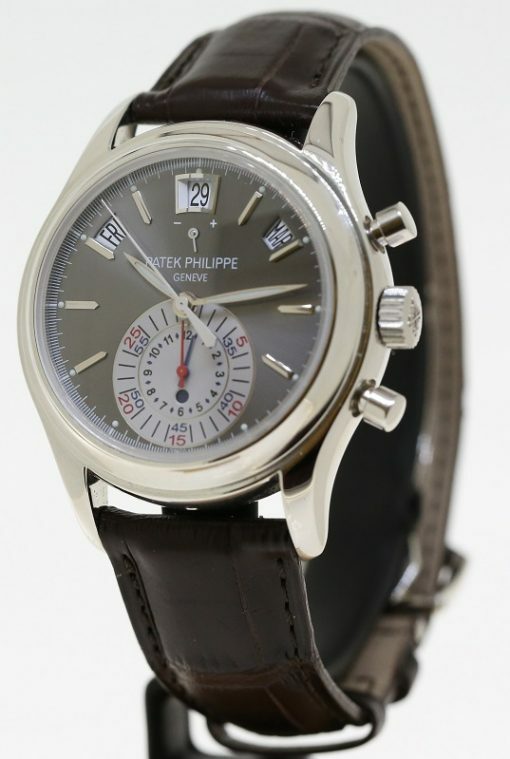 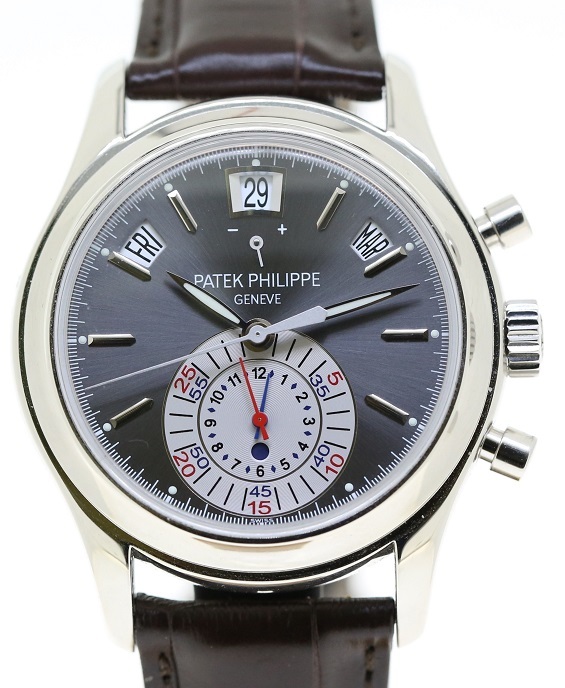 Launched in 2006, the Patek Philippe Annual Calendar Chronograph in platinum won instant acclaim. 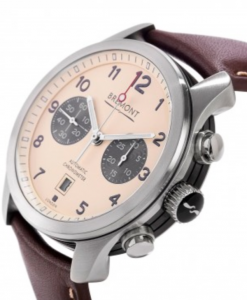 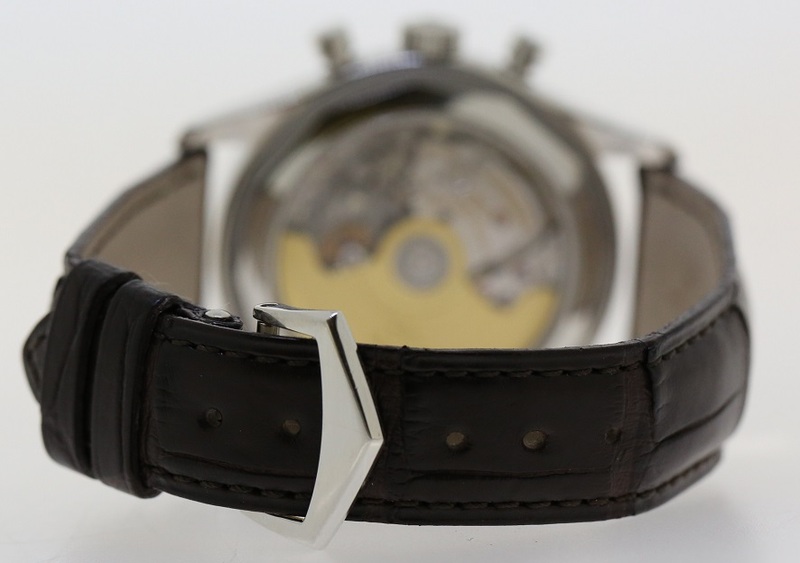 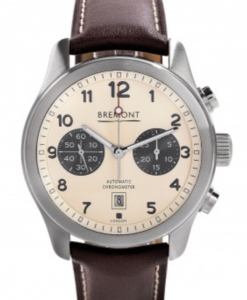 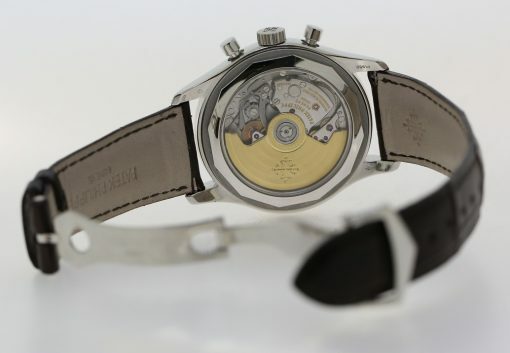 It was the manufacture’s first self-winding chronograph. 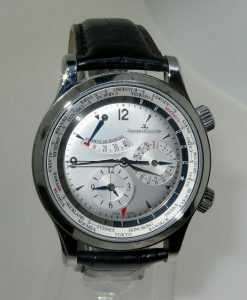 The watch has a unique style showing its prominent nested chronograph accumulators at 6 o’clock and three large calendar apertures at 10, 12 and 2 o’clock. 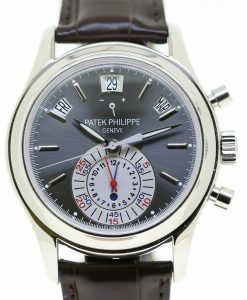 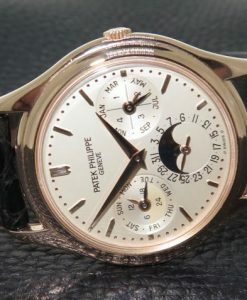 This is a coveted timepieces from Patek Philippe powered by the Patek Philippe calibre H 28-520 IRM QA 24H with flyback chronograph and annual calendar. 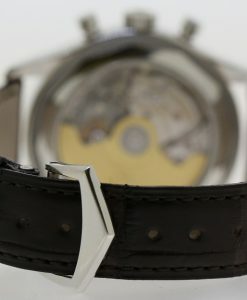 The watch comes with a power reserve of 55 hours when fully wound and the movement is fully visible via the display case back. 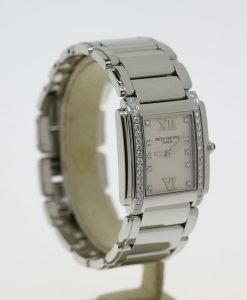 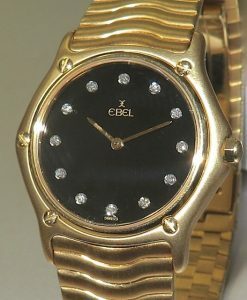 Importantly, the watch has never been worn and is like new condition. 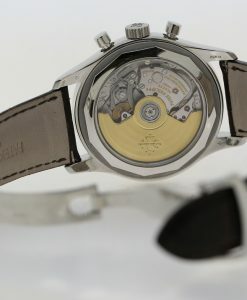 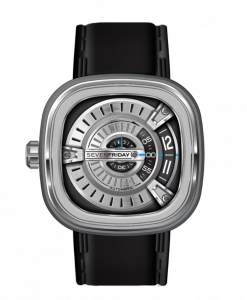 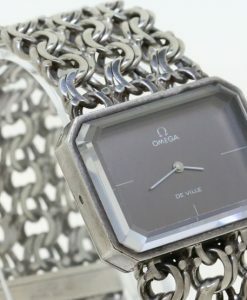 This watch is no longer in production making this example especially unique. 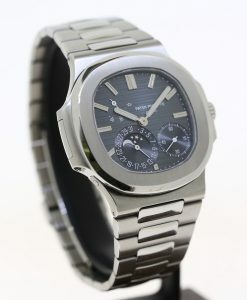 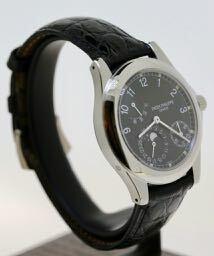 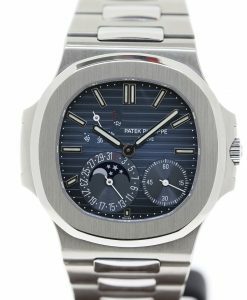 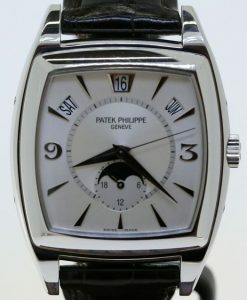 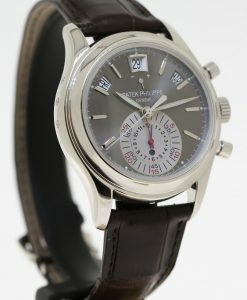 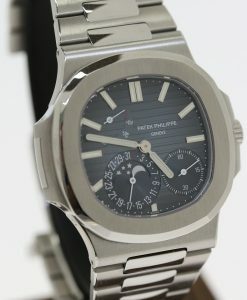 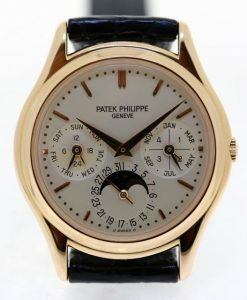 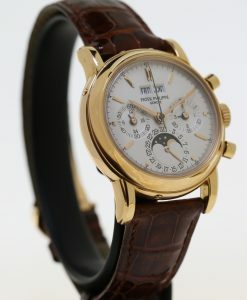 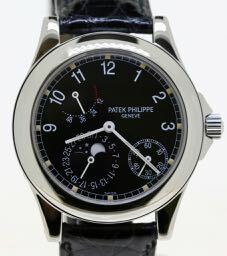 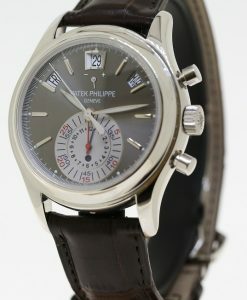 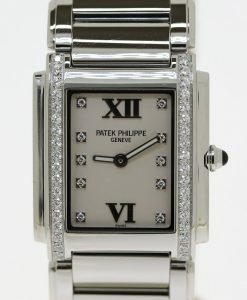 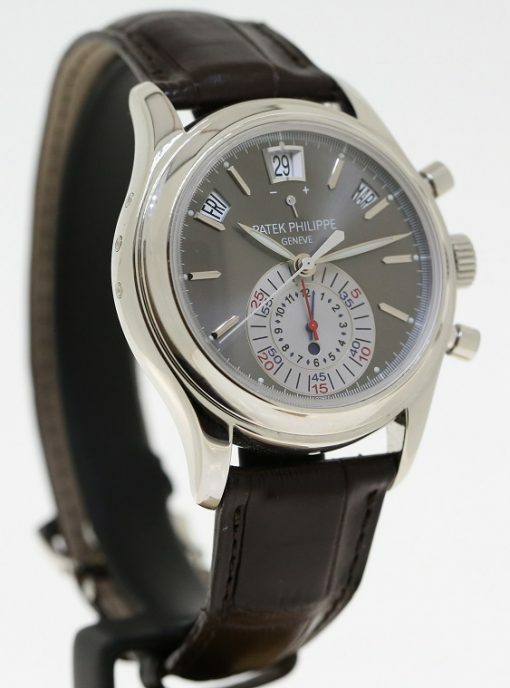 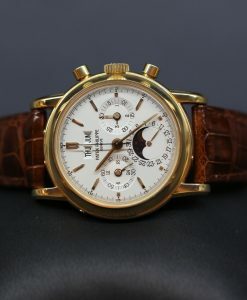 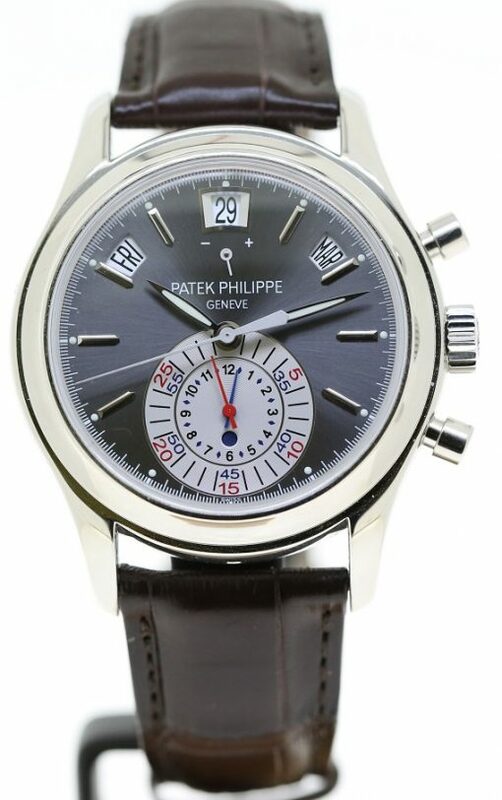 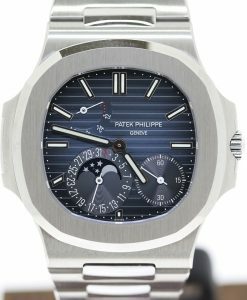 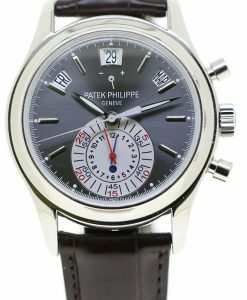 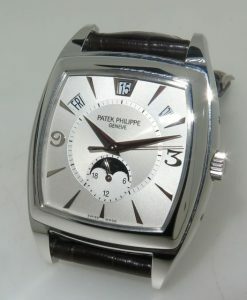 Patek Philippe reference 5085/1A stainless steel PWR reserve calendar moon phase Calatrava with original certificate.